It’s not an overstatement to say that brands make or break businesses. It’s the difference between a product that no one knows about and a product that everyone seeks out to buy. A brand is why you reach for a Coke-a-Cola before store-brand “cola,” and it’s why people are happy to drop 10 grand or more for a Rolex. 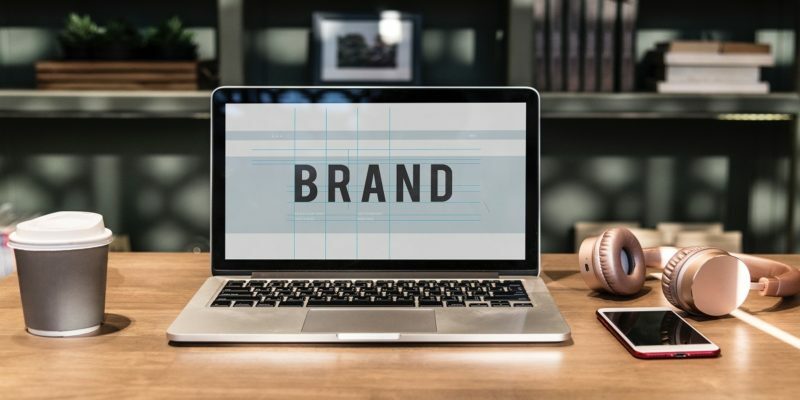 If you’ve read our other blogs on branding, then you don’t need us to tell you about how important your brand is for your company. But if you’re just getting started (or rebuilding your brand), how do you get from point A to point B? Having a face-to-face conversation with an engaged listener is hands-down one of the best ways to build brand awareness. The trick is to make sure you’re leaving people with a memorable and positive impression. Avoid selling at networking events – it’s just not the time or place. If people are in the market for your services/products and they like you, they will follow up. Give people a brief but compelling summary of your company along with what you offer and leave it at that. As for being memorable, don’t be afraid to speak your mind. Being honest and venturing bold statements is a great way to gain others’ attention and win the respect of those who agree with you – they’ll go on to be your best customers. Don’t be afraid of ruffling a few feathers – better to make a positive, memorable impression on 90% of the group than to make a lukewarm, forgettable impression on 100%. How do you think Gary V got so popular? The best brands are built around distinguishing and differentiating themselves from competitors. They put whatever makes them special at the front and center. The visual elements of your brand are an excellent place to start. Make eye-catching graphics and logos that are easily recognizable. Unique packaging is another great way to stand out from the competition and leave an impression with customers. Ever catch yourself zoned-out, reading the bag or cup from Chipotle while you munch on a burrito? That’s how you know they’ve done a great job with it. With creative visual assets, you can show audiences how you’re different before they’ve even made a purchase. Make your packaging, storefront, and other visuals work for you. People struggle to remember a lot of things about companies and brands, but stories stick. Stories offer an immediate emotional link to audiences. It invites people to take part in something bigger than themselves, and offers something more interesting than a cliché call to action. Every brand has a story, and you should incorporate it in all of your marketing and advertising. Your story can be centered around your company’s origins, your mission, the CEO’s personal brand, or something else entirely. It just has to hook people. It doesn’t have to be Hollywood material, either. It can be something unglamorous, like “Our mission has always been to provide the best possible pizza in metro Detroit. We make pizza nights something every family can look forward to.” Or it can be something more high-concept like AirBnB, who have built a story around the amazing experiences and vacations their guests have enjoyed at different locations. If you craft a compelling story about what you’re doing and why you’re doing it, people will listen. It has never been easier for someone to learn about your company than it is now. In a few seconds, someone can Google your company to find news articles about you, a hundred customer reviews, your Better Business Bureau rating, and more. So if you’re posturing as someone as you’re not, people will find out quickly. Furthermore, in today’s saturated market, consumers are bombarded with phony ad after phony ad. Authentic messaging cuts through the noise like a hot knife through butter. So how do you demonstrate authenticity? Show off the real faces behind your brand in pictures and videos (hold off on the stock photos). Write copy with emotion. Sell based on your strengths, not just what’s trendy right now. And stay consistent – if you were a luxury brand yesterday, don’t try to sell your products as budget-friendly today. You have to get your name in front of people in order to build a brand. Putting advertisements on search engines and social media is a good first step. From there, you can look into email marketing, print mailers, and more. Just remember that unless you’re the next big viral hit, building a new brand can take time. Rome wasn’t built in a day. However, building brand awareness is worth it in the form of loyal customers, business from word-of-mouth, brand recognition, and so much more. Just ask Apple! Are you uncertain where to take your brand next, or how to build awareness? Reach out to us today to talk to a branding expert. Would like to meet with you guys to work on a marketing strategy for our company. You did our website but we need to rev up our marketing engine.